There’s no arguing that line arrays are dominating FOH systems these days. Likewise, it’s accepted that smaller, more efficient and better sounding boxes are replacing the huge, brute force boxes of yesteryear. I recently provided sound support for a unique event that magnificently merged these two trends for great results. I can’t help but feel as though this particular show was a glimpse into the crystal ball of what’s to come. Like it or not, we had better all be ready. The show was to celebrate the grand opening of the ultra-modern Music City Mercedes Benz dealership in Nashville. After introductory speeches, the event began with an acoustic set by country music star Chuck Wicks. What followed was truly something that could only happen in Nashville, a “sing to drive your dream” contest where the top three finalists in an online contest sang before the crowd and an all-star judging panel. The prize? A new Mercedes Benz, of course! So, four acoustic acts plus some talking heads — easy-peasy, right? Well, not quite. First, this event was not being held in anything even close to a musical performance hall. It was held in the showroom of the dealership. The room was approximately 60 feet wide and 120 feet long with 20-foot ceilings. The roof was bare metal, the floor concrete and three of the four walls were glass. In attendance would be approximately 350 of the most influential and affluent folks in the Southeast U.S.
My marching orders? The system had to be small and look as high-tech as the dealership itself. Sound-wise, they wanted nice, pleasing sound, similar to an ultra-high-end home stereo, and they wanted everyone to be able to hear the music, but not too loud. The plethora of dignitaries attending would include numerous country music stars and execs, mayors of three major cities, two state governors and the dealership’s co-owners. Every media outlet in the region was sending crews to cover the event. It went without saying that there could be zero issues; everything needed to be flawless. It was a big order. Several FOH systems were considered, but all fell short of delivering 100 percent of what was needed from either an aesthetic or audio quality perspective. Turns out, I was at Summer NAMM as I was gearing up for this show, and I stood face to face with what looked to be the answer. Honestly, it was the cutest little system I’d ever seen, and it just looked like it belonged in that shimmering glass Mercedes showroom next to cars that cost more than the average house. The system I was looking at was the Curv 500 by LD Systems, a company unknown to me at the time. Of course, on the NAMM floor, there was no way to be sure about the sound. So a system was delivered to me post haste. The system consisted of two of the smallest subwoofers imaginable — each with four tiny cubes in an arched “array” sitting atop a pole mounted to each sub. It looked even smaller in the shop than it did on the NAMM floor! 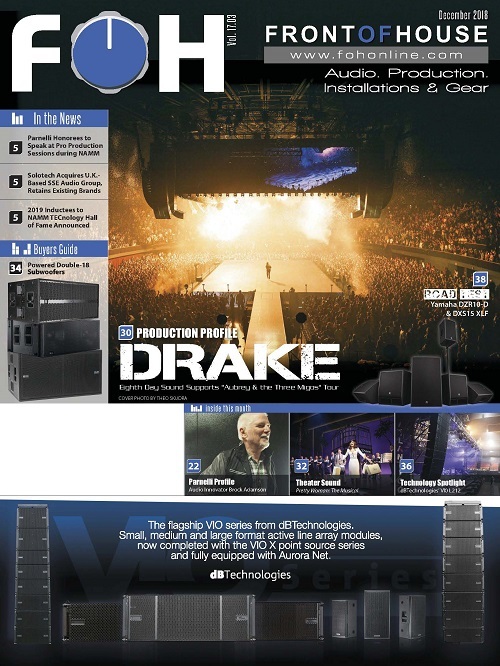 Made in Germany, the LD SystemsCurv 500 system is comprised of compact MF/HF satellite speakers, an integrated 4-input mixer with DSP effects built into a 10-inch subwoofer that contains 460 watts RMS of D-Class amplification for the sub and up to four curve-shaped MF/HF array satellites. 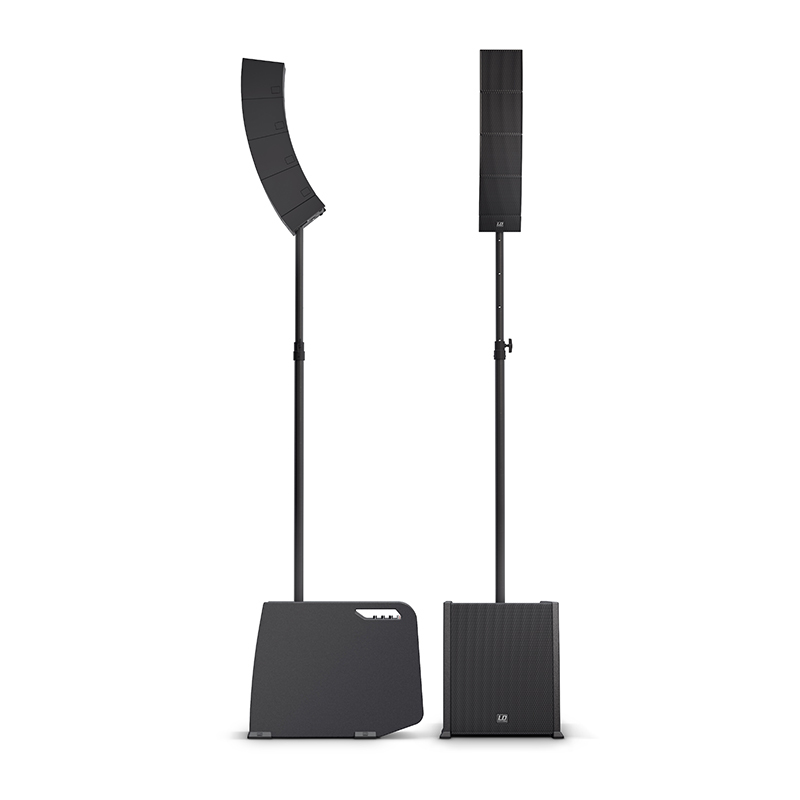 It’s designed for small- to medium-sized venues in portable or installation applications; optional wall and ceiling mounts are available. The system is modular and is based on a SmartLink adapter, which includes the audio connections from the sub, a flange for the pole mount and support for up to four 12×12 cm (4.7×4.7-inch) satellites. 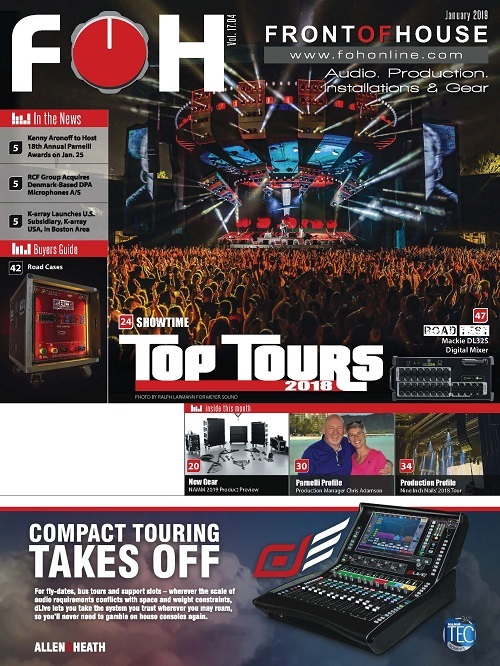 Slide-in slots in the SmartLink and satellites make for fast, plug-and-play, “no visible wiring” hookups and secure click-to-lock connections between the modules. Each satellite has a single 4-inch driver with three 1-inch HF drivers mounted in a coaxial style arrangement. Dispersion is 110° horizontal and 10° vertical (per satellite). Enclosure construction is die cast aluminum with a matte white or black powder coat finish. System frequency response is quoted as 47 Hz to 20k Hz. With little time available to thoroughly evaluate the system, I decided at the last minute to also load a larger conventional system just in case. The big rig never left the truck. The final FOH system consisted of only the two Curv 500’s. 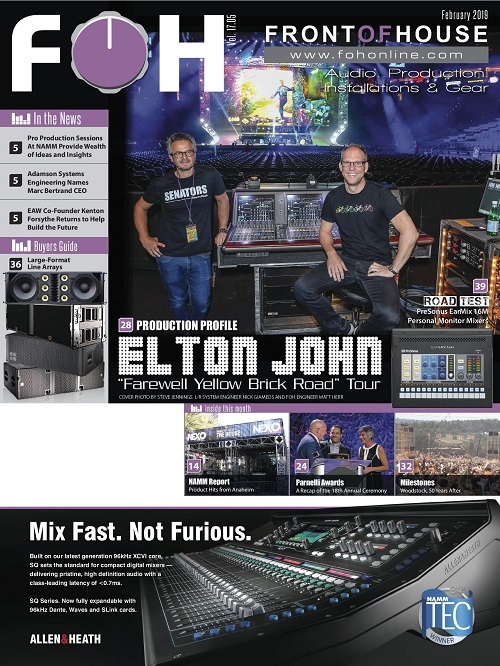 The FOH console was an iPad Pro, with an equally tiny Midas MR18 hidden under the stage. The sound was, in a word — perfect. The teacup-sized FOH system was no doubt at its limits, but it provided exactly what was required: Pleasant, full and rich sound, even at the end of a 100-plus foot throw. Would this system have worked if this was a urban/pop/electronic dance fest? Not a chance, but that’s okay, those folks still like to see big speaker cabinets — the bigger the better! 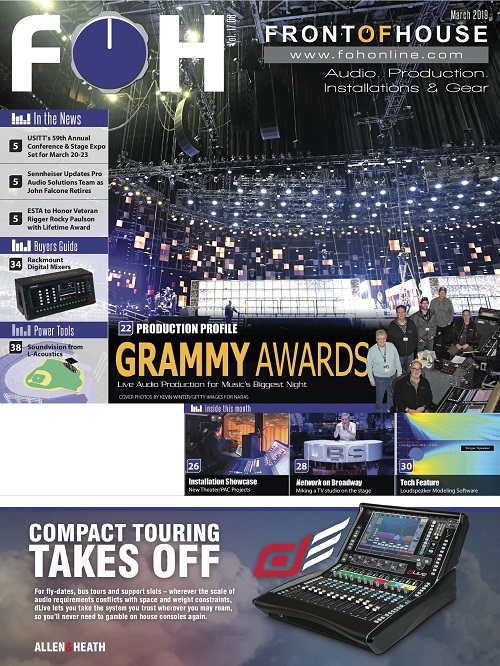 Pricing for a single-channel Curv 500 ES system (four satellites, subwoofer/mix module, SmartLink adapter, mounting pole and all connecting cables) is $1,199; a stereo/dual mono Curv 500 PS rig (essentially with twice the components, but a single integrated mixer) is $2,199. 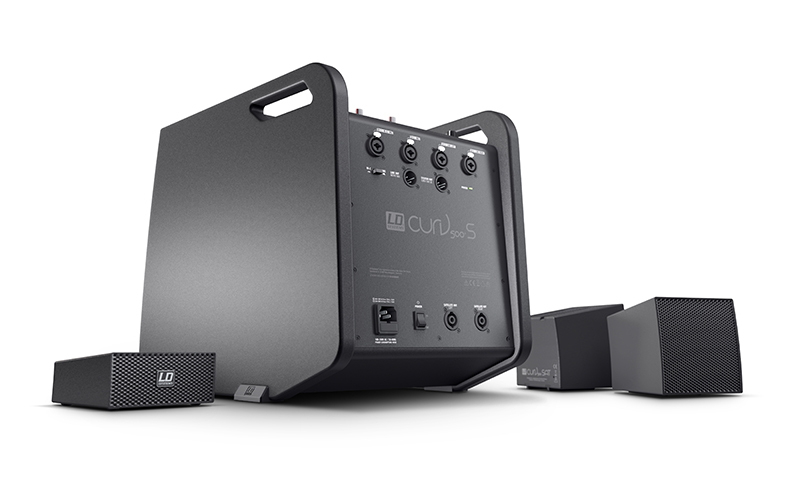 A Curv 500 AVS 2-satellite with sub/mixer system is $899. Several companies now offer these ever-so-small mini array packages, so don’t write them off until you have given them a listen in person. 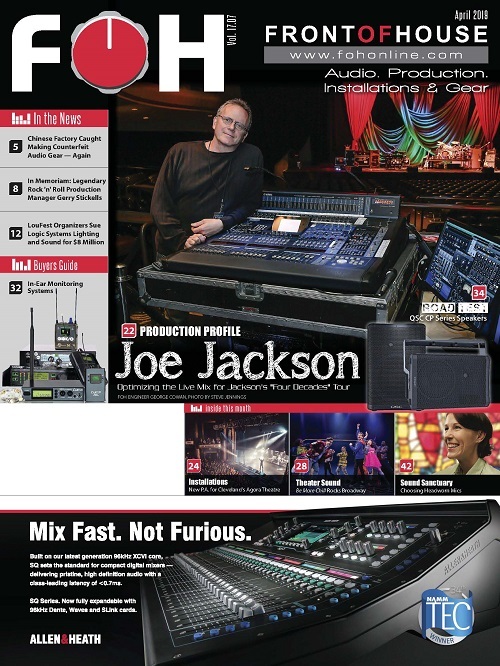 Chances are, the Curv 500 will fit a corporate niche to a “T,” just like iPad-based mixing. I can’t remember when I’ve received as many compliments as I did after this particular show. That feels good — although maybe not quite as good as winning a new Mercedes. 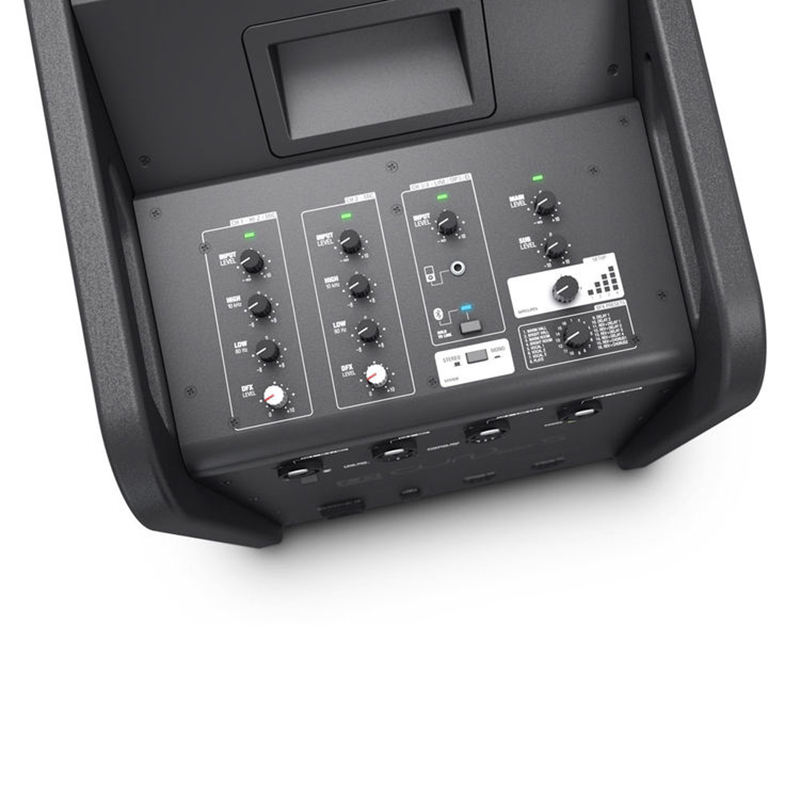 German manufacturer LD Systems offers a compact, great-sounding system that’s fast and easy to set up, while offering scalability and expandability for various assignments. A Nashville denizen for more than 30 years, Vaughn Skow has been a studio owner/engineer, live sound company owner/engineer and has taught acoustics and audio engineering at Volunteer State College since 1999.